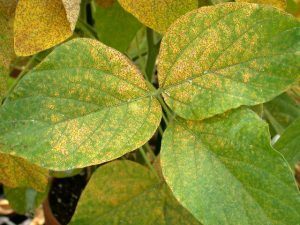 Everett Griner talks about invasive disease problems, which have been imported through natural causes, for farmers in today’s Agri View. I mentioned several times, once just recently, about farm losses from hurricanes or tornadoes that get little public attention. These weather disasters can cause other losses, or problems, for farmers that are seldom made public. For example, soybean rust. A serious problem that was brought to this country by a hurricane. Farmers can control it, but they can’t stop it. Controlling it, it can cost a lot of time and money. I don’t know where it came from, but a hurricane was the origin of it. More recently, a problem know as cotton blue. 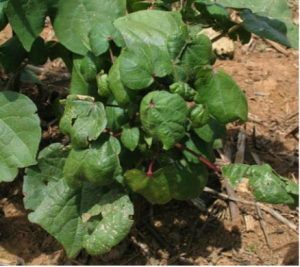 A virus transmitted by aphids, brought to the southern cotton farmers from Brazil….by a hurricane. When the problem is discovered, the only choice the farmer has is to begin immediate treatment which is costly, and time consuming. If he intends to produce a crop. 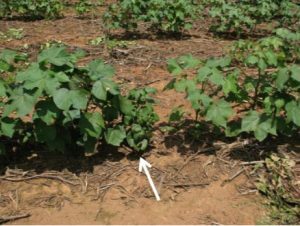 Image credits: (both top feature images) Cotton blue disease (Cotton leafroll dwarf virus)/© State of New South Wales through NSW Department of Industry.